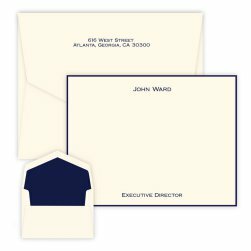 The Boulevard Card brings old Hollywood to life in a contemporary design. 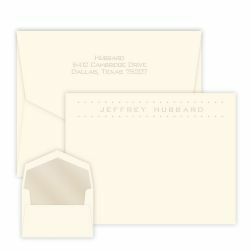 Beautifully embossed in triple-thick paper, this single panel card features bold block lettering accompanied by six bullet points that evoke the bright lights of the red carpet. 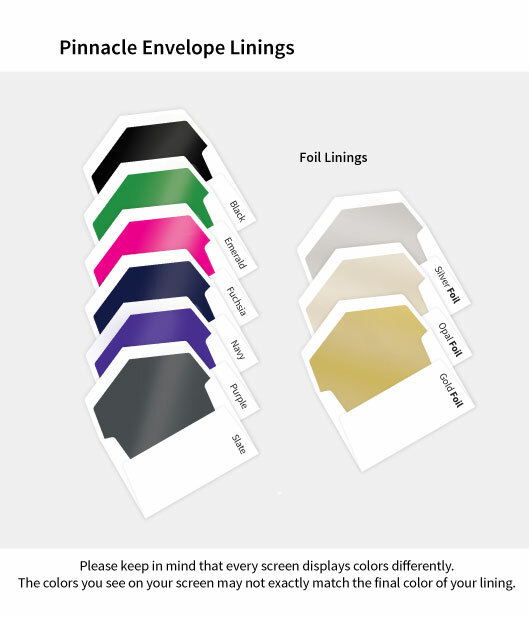 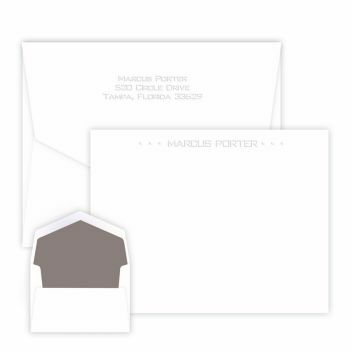 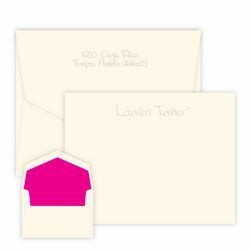 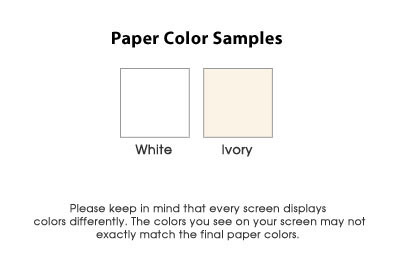 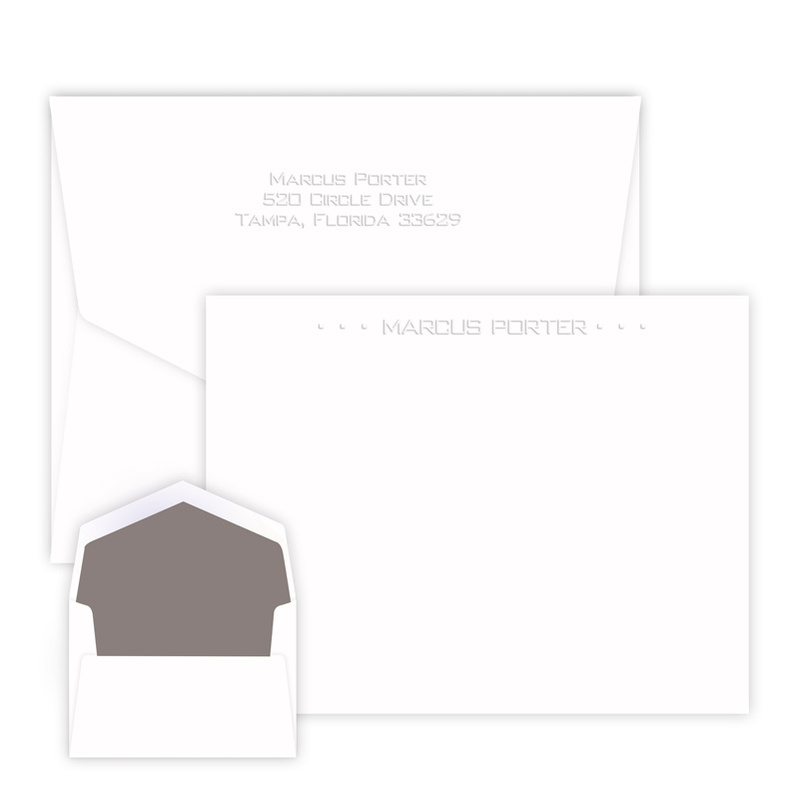 Options include 100% cotton paper, a border, return address and hand-inserted envelope linings.